He is hugely proud of the 350-strong herd of cattle he breeds and rears on his 570-acre Nether Aden Farm. As a producer of Scotch Beef PGI David’s farm is part of an assurance scheme that operates stringent regulations around production and welfare standards. 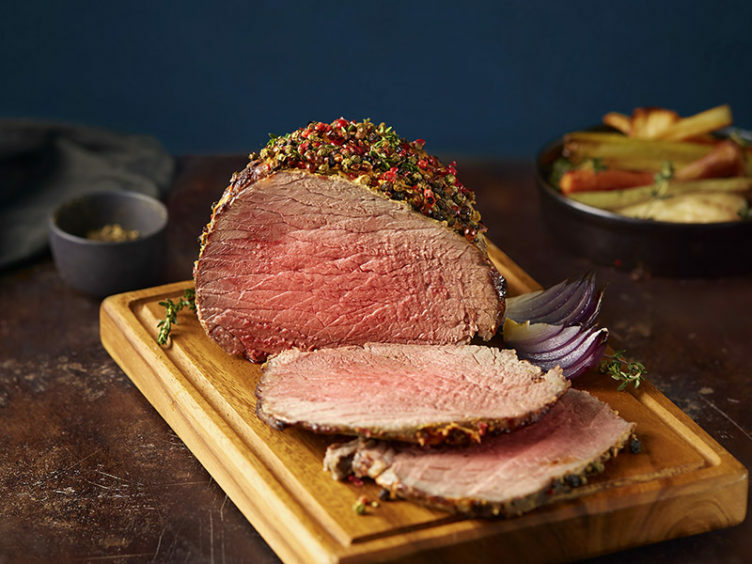 The scheme is overseen by the public body Quality Meat Scotland (QMS) which is responsible for promoting and developing the Scottish red meat industry. Striving for quality produce has been David’s focus since he bought the farm in Mintlaw almost three decades ago. 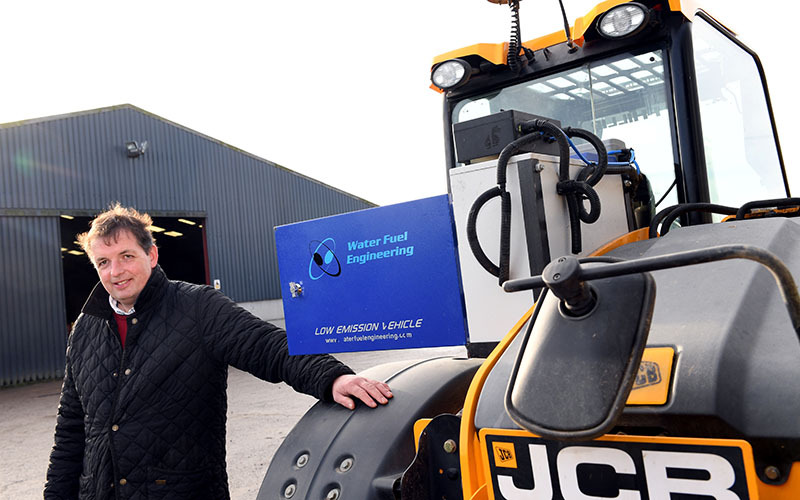 But more recently he has become a bit of a pioneer in the farming industry by trialling ways to improve his farming business and make Nether Aden operate more efficiently and sustainably. Besides running Nether Aden and his involvement in the Scottish Government’s Farming for a Better Climate project, David makes a valuable contribution to the red meat industry. He is currently vice-president of the Scottish Beef Association (SBA) and is also chairman of Scotland’s Beef Event in Inverurie on May 30. Now with three sons of his own (Jack, 21, Tom, 19, and 12-year-old Jamie) mucking in, David encourages the boys to follow their own career paths. In contrast, he’s farmed since his teens. 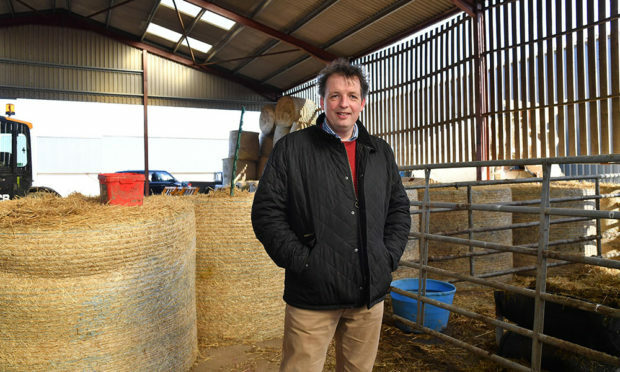 Since then the industry has changed and brought challenges, including the weather, markets and political decisions, but they are outweighed by the joys of farming for David. He explained: “The things I love about farming are watching the changing seasons and seeing new life, but especially at calving time. It’s this commitment to producing quality Scotch Beef that has made him an ideal champion for QMS’s Know Your Beef campaign, which highlights the quality assurances, provenance and traceability of the product, along with the high animal welfare standards. and natural means of production. This leads to the best possible, most tender, succulent tasting beef,” David explained. Add the quality cut to a sizzling hot pan, with oil and butter. Leave for a couple of minutes on each side for the perfect medium rare steak. You can use any cut of beef for this, but try rump steak, fry it with oil and add peppers, onions, mushrooms and add crème fraiche. It takes just five minutes to cook. *For more information about Scotch Beef and its Know Your Beef campaign, visit the website by clicking here.